Agreeing a safety net to avoid a hard border in Ireland is the final obstacle blocking a withdrawal agreement, but senior ministers are at odds over whether the UK can secure terms which allow it to break free from the ‘backstop’. Brexiteers have warned that the wording of the agreement could trap Britain in the EU’s customs union indefinitely. Commons Leader Andrea Leadsom today insisted the UK must be able to leave any customs agreement. But her Cabinet colleague, Education Secretary Damian Hinds, said the EU would be “very, very unlikely” to agree to such terms. Appearing on BBC One’s The Andrew Marr Show, Mr Hind said: "If you have too hard a line about saying, 'well we must just have a totally unilateral exit, or there's an absolutely fixed, hard end date', that is... very, very unlikely that is going to be negotiable with the other side. "On the other hand, people here rightly want comfort and they should be able to have comfort and confidence that it isn't an open-ended thing." But Mrs Leadsom offered a different opinion, insisting the UK "cannot be held against its will" in a backstop customs arrangement with the EU. And she claimed backstop terms which did not allow Britain to decide when it wanted to leave would not be supported by MPs. She told BBC Radio 5Live's Pienaar's Politics: "It cannot be a decision that can be overturned by the European Union, it must be capable for the United Kingdom to decide to leave that customs arrangement and it cannot be something the European Union can hold us to. "Frankly, it's because that would be to then fail to fulfil on the will of the people expressed at the referendum and I very much doubt we'd get it through Parliament." 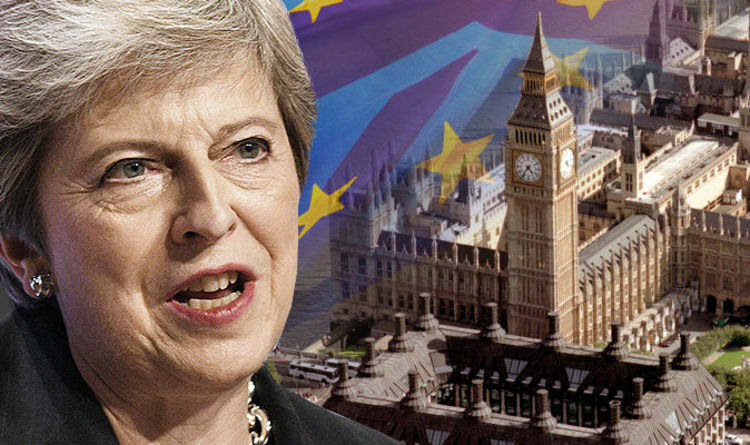 The division in Mrs May’s Cabinet comes amid reports that Brussels has rejected her plans for an independent arbitration clause that could allow the UK to quit a backstop deal on the Northern Ireland border. Meanwhile, Tory Brexiteer Steve Baker, deputy chairman of the 80-member European Research Group (ERG) of Conservative backbenchers, and the Democratic Unionist Party’s Brexit spokesman, Sammy Wilson, said they would oppose any agreement which they thought threatened the union and could put a trade border down the Irish Sea. Writing in The Sunday Telegraph, they said: "We share the Prime Minister's ambition for an EU free trade agreement, but not at any price, and certainly not at the price of our union. "If the Government makes the historic mistake of prioritising placating the EU over establishing an independent and whole UK, then, regrettably, we must vote against the deal." With the shock resignation of pro-Europe transport minister Jo Johnson continuing to cause ructions in Tory ranks, Mrs May is running out of time to seal an EU exit agreement. In the wake of Mr Johnson's resignation, there have been reports that other ministers are considering quitting over Brexit. Brexiteers have insisted that the UK should not get involved with a potentially permanent backstop customs union agreement with the EU as the price of avoiding a hard border in Northern Ireland.